I may be old school, but I still believe in Registered Retirement Savings Plan (“RRSPs”). I say old school, as lately it has become fashionable to bash RRSPs, because of the deferred tax liability upon retirement. As result, some people have stopped contributing to their RRSPs (using TFSAs) and others are withdrawing from their RRSPs. Today, I will not get into the argument of whether RRSPs are good or not, nor discuss when you should contribute to a TFSA in lieu of a RRSP (that is a blog post for another day). What I will speak about is the tax traps for those of you who have withdrawn or will withdraw from your RRSP this year. 1. To utilize the Home Buyers’ Plan (“HBP”); a plan that allows first-time home buyers to withdraw up to $25,000 from their RRSPs to purchase or build a principal residence (although, as Rob Carrick discusses in this article, it is questionable whether housing should come before retirement). 2. To utilize the Lifelong Learning Plan (“LPP”); a plan that allows you to withdraw amounts to finance full-time training or education for you or your spouse. 4. Income smoothing (you cash part of your RRSP to take advantage of a tax year in which your marginal tax rate is lower than you expect in future years). 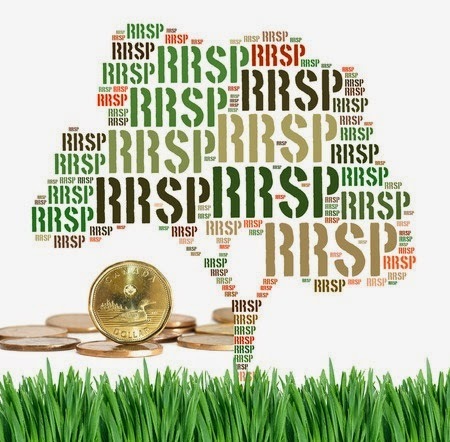 Regardless of the reason you tap your RRSP, you should be aware of the following two tax traps. When you withdraw money from your RRSP for reasons other than the HBP and LPP, the amount of tax the financial institution withholds depends upon the size of your RRSP withdrawal. For RRSP withdrawals up to $5,000, the rate of withholding is 10%. For RRSP withdrawals of $5,001 up to and including $15,000 the rate of withholding is 20%. Finally, for RRSP withdrawals of more than $15,000, the rate of withholding is 30%. The tax trap is that your marginal tax rate is most likely in excess of the income tax withheld. For example, say you withdraw $50,000 (30% tax is withheld) from your RRSP in 2015 and your income from other sources will be $85,000. The marginal tax rate attributed to the extra $50,000 RRSP withdrawal will be approximately 43% depending upon the province you live in. Thus, in the above scenario, you would owe approximately $6,500 ($50,000 x 13% [43%-30% withheld]) in April, 2016. You would not believe how many times in my career I have had clients withdraw money from their RRSPs (usually without asking my opinion) who are shocked that they owe substantial amounts at tax time because of the marginal rate trap. When a client speaks to me beforehand, I calculate the income tax shortfall on the withholdings and inform them how much to put aside for their additional income tax payments. If you have withdrawn money from your RRSP in 2014, you may be in for a "tax shock". If you have withdrawn money in 2015 or plan to do so this year, I suggest you determine online, or with your accountant, how much more your marginal rate is than the statutory withholding and put that money aside. I have written about the matching penalty several times. Quick recap: under Subsection 163(1) of the Income Tax Act, where a taxpayer has failed to report income twice within a four-year period, he/she will be subject to a penalty. The penalty is calculated as 10% of the amount you failed to report the second time. A corresponding provincial penalty is also applied, so the total penalty is 20% of the unreported income. Yes, that is income not reported, not tax underpaid! I have been contacted on my blog by several people who have incurred substantial matching penalties when they are caught not reporting their RRSP withdrawals. Now I know you are saying, “Mark, who the heck does not report their RRSP withdrawals?” It is not that hard to do. In a typical situation, someone has withdrawn from their RRSP earlier in the year, and either forgotten about it or assumed they have already paid the tax and are not overly fussed about it. When this forgetfulness or blissfulness is combined with lost mail or an address change such that they do not receive their T4RRSP, a very expensive tax trap may happen. Let’s assume the same $50,000 withdrawal example as above, but that the RRSP withdrawal was made in 2014, not 2015. Let’s also assume that the person missed reporting a tax slip in one of the three prior years (to rub salt into the wound, say it was for a T5 slip for only $50) and misses reporting the RRSP withdrawal on their 2014 tax return. Firstly, they will be assessed the $6,500 in income tax noted above because of the marginal rate trap, but they will also be assessed a penalty of $10,000 ($50,000 x 20%) under the matching program. Remember, I said the penalty is based on the income not reported, not the tax owing. (Note: If the RRSP had not been reported in one of the three preceding years and the T5 slip is missed in 2014, the penalty would only be $10, a strange result). If you have made, or plan to make a RRSP withdrawal in 2015, please ensure you set aside the proper amount of income tax to cover any marginal rate “gap”. If you withdrew money from your RRSP in 2014, ensure you receive your T4RRSP tax slip. If you do not receive it, call the financial institution for a copy and don’t get caught with a matching penalty. When incorporating your small business (or in some cases your professional corporation), there are a multitude of issues to consider. 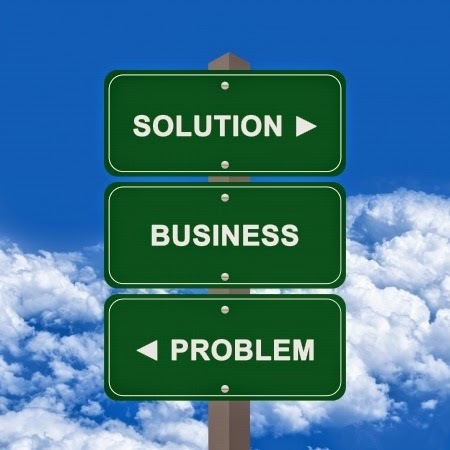 Some of these concerns were discussed in my blog on Advice for Entrepreneurs. One of the most important decisions to be made upon incorporation is the determination of the corporate structure. Today, I will focus solely on the benefits of using discretionary shares in that corporate structure. 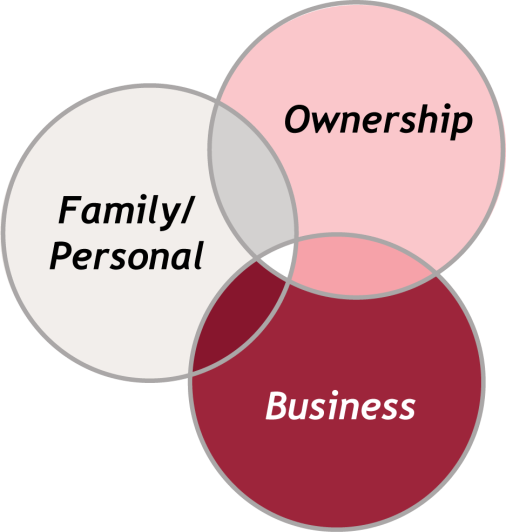 I have previously discussed using a family trust as the shareholder of a new entity in my blog post Should Your Corporation’s Shareholder be a Family Trust instead of a Holding Company? and thus, will not broach that topic today. Discretionary Shares – What are They? Discretionary shares allow a corporation to pay dividends on one class of shares to the exclusion of another class or at varying percentages. This concept is best illustrated through an example: If Mr. Bean has discretionary Class A shares and Mrs. Bean has discretionary Class B shares and the directors wish to pay a dividend of say $25,000, they could pay the entire $25,000 dividend to Mr. Bean and nothing to Mrs. Bean. Alternatively, they could pay the entire $25,000 to Mrs. Bean and nothing to Mr. Bean. They could also pay any other combination that totals $25,000; say $10,000 to Mr. Bean and $15,000 to Mrs. Bean, or $7,000 to Mr. Bean and $18,000 to Mrs. Bean. This differs significantly from the standard garden variety common shares many lawyers automatically issue upon incorporation. Those shares pay dividends based on the ownership of the shares. So if Mr. Bean owned 35 common shares and Mrs. Bean owned 65 common shares, any dividends must be paid in the 35/65 ratio with no discretion. Discretionary shares allow for income splitting with adult family members. Typically the shares are issued to the husband and wife or common-law spouses; however, in some cases it may make sense to issue shares to children, especially those 18 and over (the kiddie tax limits the benefits for children under 18). The benefit is again best described by an example. 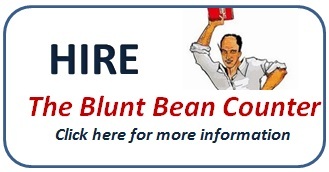 Say Mr. Bean owns 75% of the common shares of Baked Beans Inc. and Mrs. Bean owns 25% of the common shares. Mr. Bean, as a working owner of the company, also receives a salary of $100,000. Under the above 75/25 ownership scenario, if a $100,000 dividend was issued and Mrs. Bean had no other income, Mr. Bean would pay approximately $27,000 in income tax on his $75,000 dividend (assume dividend is non-eligible), and Mrs. Bean would not pay any tax on her $25,000 dividend. However, if the shares had been set up as discretionary upon incorporation, the company could pay the entire dividend to Mrs. Bean and she would pay approximately $16,700 in tax, a $10,300 tax savings over standard common shares. Another benefit of discretionary shares is that they can be issued to a holding company and used to creditor proof a company to ensure it qualifies for the capital gains exemption. Why Not Always Use Discretionary Shares? In some cases, spouses do not want their spouse involved in the corporate ownership; or if the spouses are involved, they prefer to own standard common shares, with at minimum 51% common share ownership. Not necessarily the best tax planning, but you would be surprised at how often people want this type of structure. Care should be taken to ensure any other family corporations are not considered associated because of the discretionary shares; this would cause the corporations to have to share the $500,000 small business deduction. While not relevant for a newly incorporated company; because of the income splitting opportunities afforded discretionary shares, the Canada Revenue Agency (“CRA”) has done some sabre-rattling with respect to the valuation of the shares when they are issued as part of an estate freeze. It is important in these cases that the fair market value (“FMV”) of the property is accurately determined. 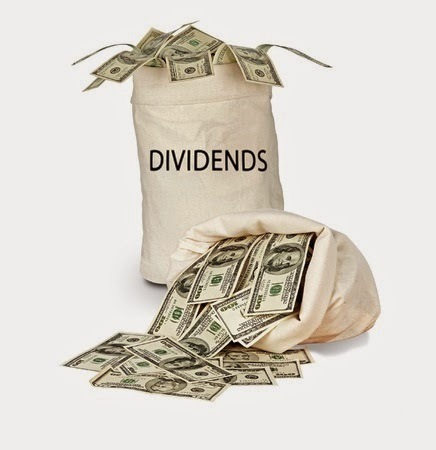 Discretionary shares are a valuable tool in the income splitting toolbox. However, in order to ensure you handle that “tool” with care, you must obtain income tax advice before implementing any structure with discretionary shares. Planning the succession of your business is the most vital undertaking for any small business owner. When this planning involves family, the emotional and financial stress can be overwhelming. Today, Grant Robinson of The SucessCare Program is my guest poster. Grant is one of the most respected advisors in the area of transition planning for business and family succession. 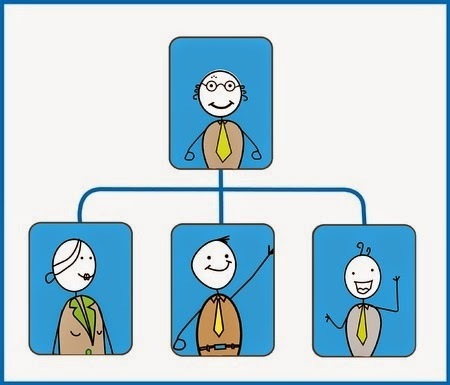 Over the last couple years, I have been told on several occasions that based on my integrated practice of accounting, income tax, wealth management and consulting, I should attend Grant's course on succession planning. I had it on my list of things to do, but never got around to it. It is really too bad I did not, as I have now gotten to know Grant and he is one of the most dynamic accountants I have ever met (yes, I know, being a dynamic accountant is not saying much, but in this case it is). If you are a consistent reader of mine, you know that I do not compliment or endorse easily. However, if you have business succession issues and cannot seem to get out of the quicksand, I would give Grant a shout. Enough good things about Grant, let’s get to his guest post, that somehow ties in cars, highways, and succession planning. As the owner and CEO of your business, your primary role is to move the business forward. You drive in the fast lane, covering as much distance as you can in the limited amount of time available. Yet you know that you can’t stay in the fast lane forever. At some point you will run out of gas! Don’t wait too long. The exit ramp is on the opposite side of the highway and it’s dangerous to cross a three-lane highway at the last minute. You’ve seen others cause some serious collisions ― some involving their own family members. It’s much safer to gradually move over to the exit ramp one lane at a time and allow your junior driver to get the necessary experience before taking over in the fast lane. There are some key things to know and do to ensure you change lanes safely. Yes you still need to run a good business by monitoring the traffic conditions and anticipating the roadblocks. It is vital that you are continually aware of possible bridge-outs in your marketplace or industry, and at the same time look for opportunities to diversify via a new highway. But before making any moves, you also need to signal your intentions through good communication with the next generation management and family members. Good communication will help ensure each stakeholder is going the same direction and knows what to expect. It is also critical that you check your blind spot by preparing for all contingencies. Finally, you need to be in position well before that exit ramp appears. This means having a plan that preserves and protects the equity you have built up over the years and clarifies how those assets will eventually be distributed. An integrated transition plan will ensure you address all three of these key components of a business transition. An integrated transition plan is a focused approach to addressing the inevitable changes to the leadership and ownership of your business. Over the years you have amassed much more than mere physical assets. Your business, your family and your community all benefit from a number of equally important, intangible assets. Preserving and transitioning both the tangible and the intangible is the foundation of an integrated transition plan. Consequently, transitioning a business involves much more than transferring the shares of the business. It’s about ensuring the business can not only survive without the current leader but has the ability to thrive under the new leadership. It’s also about ensuring that the family remains connected, regardless of whether you decide to pass the baton to one or more next generation members or sell to a third party. 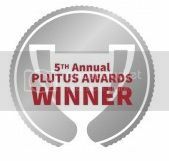 The Business area which is responsible for building and maintaining the wealth engine that generates the wealth for the stakeholders. In the Family/Personal area, your plan focuses on developing a long-range vision that clarifies your direction and purpose for the next 120 months (or two car lease renewals keeping with our car theme). It builds on your guiding principles and philosophy to sustain and grow the social capital that is so important to both your family or partners, and the continuity of your business. This social capital includes intangibles such as your reputation in the marketplace among customers and suppliers alike. It includes the culture that keeps your employees engaged and committed. And it serves to keep your family nurtured, connected and supportive of one another. Essentially, you have a plan that defines the legacy you will ultimately leave your family and your community. In the Ownership area, your plan should prepare both the exiting and succeeding generations for the transition of the physical assets. In order to adequately protect these assets, you must first clarify the overall ownership philosophy and put the wheels in motion to develop the appropriate ownership structures and agreements. In the Business area, the objective is to keep the wealth engine running and determine what needs to be done to ensure the business can continue to be profitable beyond a change in leadership, and at the same time attractive to a prospective buyer. This plan includes processes to professionalize the management system, groom the next generation leader(s), transfer the knowledge and relationships to the new leaders, and ultimately affirm that the business can thrive without the current decision-maker. Planning a business transition is just like managing any other project except that the outcome of this project is critical to the future of many people. Success is dependent upon the right investment of time and resources. Any business owner who has successfully transitioned a business will acknowledge that it takes a long time ― possibly as much as five years or more ― to put processes in place that enable the business to run successfully under new leadership. Unfortunately, the majority of business owners believe they can wait until they are almost ready to retire to begin planning their exit. It’s not surprising that there are so many collisions on the highway as they try to move to the exit ramp when that fuel warning light comes on. For many, transitioning a business is a “once in a lifetime” journey. It’s a new and different challenge that requires a roadmap or a GPS. You must go beyond the technical aspects of a share transfer. You and your family need to articulate what you want in order to help you through the process of developing the strategies to get there. Grant Robinson is a business transition specialist and National Director of The BDO SuccessCare Program, a unique program for businesses and families who want to create greater choice around the future transition of their business and wealth. You can reach The BDO SuccessCare Program at 1 800 598 6400. 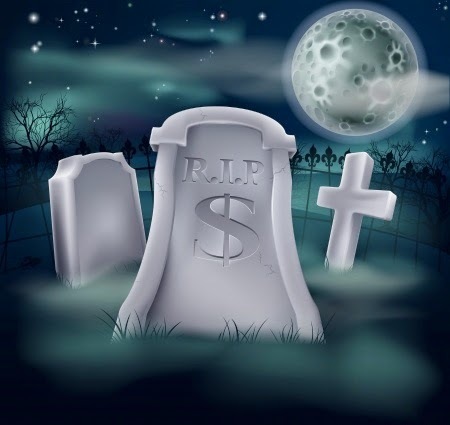 In my two prior blog posts in this series on death and taxes, I discussed with you the general income tax rules as they relate to the death of an individual. Today, I am going to discuss the income tax issues that arise on death, where you own shares in a private Canadian corporation (“CCPC”). Note:You may own shares in a private corporation (typically a Canadian company controlled by non-residents) as opposed to a CCPC or shares in a private foreign corporation. Although the general deemed disposition rule will apply upon death, for purposes of this blog post, I am not considering any issues related to these type entities. Please seek specific advice if you own such shares. It has been my experience that some owner-managers of CCPC’s are surprised to find out that their shares are subject to the general deemed disposition rules upon death. The rule being: that upon your death, the shares of your CCPC (assuming the shares are not transferred to your spouse) are deemed to have been disposed of for proceeds equal to the fair market value (“FMV”) of those shares and a capital gain results to the extent that FMV (which is often difficult to determine for a CCPC) exceeds the adjusted cost base (“ACB”) of those shares. (1) They thought the corporate taxes they paid each year took care of that issue. (2) They thought if they left the company to their children, their kids would be the ones who pay the tax (as per my blog on estate freezes, this tax can be mitigated, but not eliminated by undertaking an estate freeze). The owner-manager may also be surprised to hear that their shares are potentially subject to double taxation if proper steps are not undertaken to alleviate this liability. Double taxation can occur where the estate pays tax on the deemed disposition reported on the owner-manager’s terminal tax return, and then the estate pays further tax when it removes the assets from the corporation in the form of dividends to the estate. (1) The first is known as a subsection 164(6) loss carryback. In simple terms a loss is created on a share redemption by the estate that reduces or eliminates the capital gain that arose as result of the deemed disposition on death. It should be noted that new legislation related to the changes to “graduated rate estates” could impact this planning in the future, as the loss carryback may be restricted. 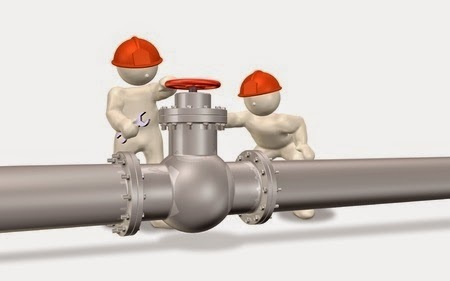 (2) The second, known as the pipeline strategy allows the estate to remove the corporate funds tax-free by in very simple terms, transferring the deceased owner-manager’s shares to a new corporation and using redemptions and a netting of promissory notes to remove those funds tax-free. However, a pipeline strategy can be problematic in certain circumstances. In many cases the owner-manager can avail themselves to the $800,000 capital gains exemption ("CGE") to utilize against any deemed capital gain. However, as discussed in this post, it can be problematic to access the exemption where the corporation has excess cash or the owner-manager dies suddenly without implementing the proper planning. In summary, as morose as this sounds, if you own shares of a private corporation, you and your tax advisor should be proactively planning for your death, which includes monitoring on an ongoing basis, whether your shares will qualify for the CGE. The planning process would in general start with a determination of your potential income tax liability on death, including an estimate of the liability related to your private company shares. This will lead to a discussion of whether or not your estate will have enough liquidity to cover that anticipated liability or if you need to consider purchasing life insurance to cover any taxes potentially owing upon your death. The discussion should then morph into a succession planning discussion, and whether or not an estate freeze/sale to family member would make sense in your situation, or what plans you have in regard to an exit strategy.